I’ve been on the look out for a new bike for a while. Now, I’m not a cyclist cyclist. I have visions of myself in France, pedalling along the lavender fields in the sunshine, the basket on my bike full of baguettes, cheese and wine. When Enda went to a tradeshow recently and texted to say “I’ve found your bike” I was intrigued. Needless to say I wasn’t disappointed! 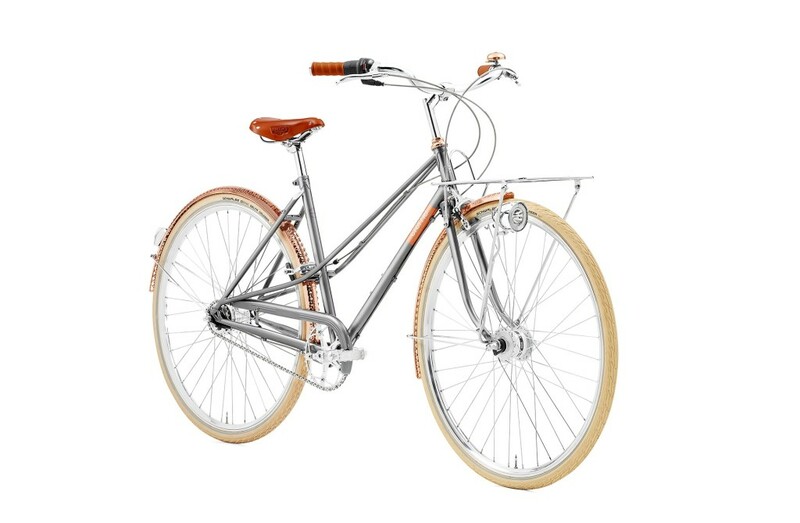 The Crème Caferacer Lady Doppio is the perfect bike for me. It looks fantastic and it is a dream to cycle. Ok, I’m not cycling in Provence, but Wicklow ain’t half bad! Wicklow is a compact enough little town but in a car, with traffic the way it is now, it can take a while to get from A to B. The Caferacer gets me to work in five minutes though I tend to take the scenic route along by the river and then the harbour just for an extra spin. I don’t want to get off this bike! I’m using it to pick up the kids from school, to cycle with them to their sports and for quick trips to the shops. It’s so handy and easy to load up the carrier with bags and boxes on the front rack. I have been seen cycling through the town with a big bunch of flowers on the front carrier – well, it was my birthday! 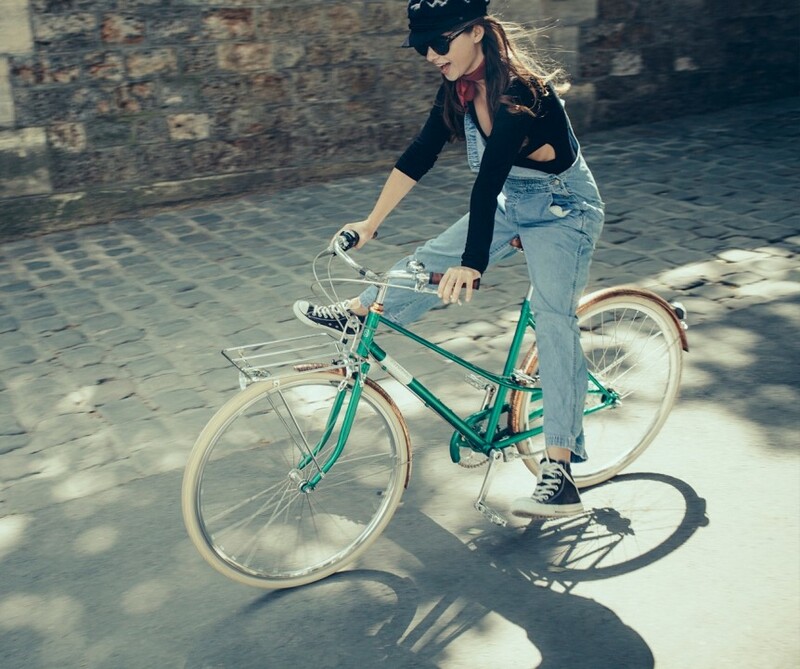 The Caferacer Lady Doppio is so comfortable to cycle. It features a lugged steel frame with a traditional ‘mixte’ shape so I’m cycling upright. No sore back for me! And a Brooks leather saddle means no sore bum either. The gears are so easy to change – a 7-speed internal gear hub makes it easy (easier) to get up the hills of Wicklow Town. It also comes with a high-end LED dynamo powered front and rear lights for night-time cycles. Ciara Kavanagh is, with her husband Mark Williams, the owner of The Sports Room, Wicklow Town – an independent sports store specialising in running, swimming and all things biking. Crème Cycles now available at The Bike Room in The Sports Room Wicklow. Check out some of the other bikes we stock. We also provide a bike repair and service with Enda Dunne, our qualified Cytech mechanic.